Okay, so I like a red carpet event and go to many of them - often covering them for Josie's Juice, and/or being a guest. I have an overflowing closet and don't feel the need to go buy a new dress each time there is a black tie event or red carpet or dinner. It's just not my style. But this was different; it was the Tour De Cure ball, I had a beautiful gown ready to wear which was mine (thing is, I've worn it before... cardinal sin number one for black tie events), but as my fashion stylist Adriana Fernandes was coming with me to the ball, I knew I needed something fresh and new and a gown I've not yet worn. Or risk being smacked by Styled By Adri... yikes! I know about gown rental companies, of course, but I am a 'go into the store and try on the dress' kinda gal. But I knew this was the way to go with an event on days away. Ironically, I'd just watched 'Shark Tank' on Channel Ten, and was glued to the story of one young lady Briella Brown - only 20, already having established a company of this description, and looking for additional investment in her business. That company: Your Closet. Here is Briella in a gorgeous Zimmermann dress - you can hire it! I did! First, the name is clever. Why did nobody nab that one before? Second, this was under the spotlight of some huge heavy hitters: the esteemed panel of business people on 'Shark Tank'. Briella has Naomi Simson from Red Balloon and Janine Allis from Boost Juice as her mentors/investors, having entered the 'shark tank' seeking an $80,000 investment for 20% equity stake. She ended up locking in that $80,000 investment split between Janine and Naomi, for a combined 30% stake in the business. 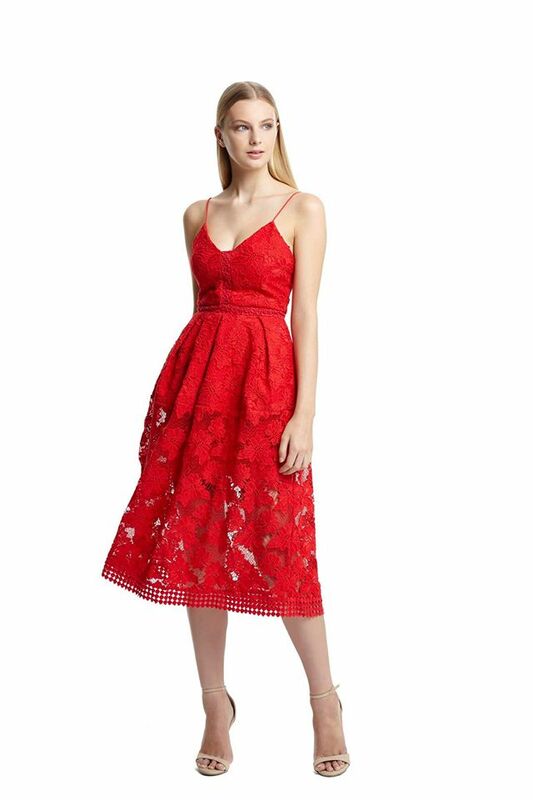 Your Closet is Australia’s premier online luxury dress rental destination. Your Closet allows you access to luxury Australian and International designers collections at a fraction of the retail price. At Your Closet, we are rethinking the way Australian women have previously approached their closets. We exist because we believe a beautiful product shouldn’t only be experienced through owning it. Our team is prepared to go the extra length to ensure you sparkle in the perfect dress at all of your special events. We have experienced stylists on board to help every step of the way and to assist with your dress decisions. By giving women access to remarkable luxury experiences, we’re changing the meaning of ownership- and revolutionizing retail in the process. At what age did you start, and why? I started the business at the age of 18. I had just finished my final year at high school and was fortunate enough to be invited to 3 formals, I noticed that myself and all of my friends were spending a large sum of money on dresses which would only get worn once. The idea of renting began from here and how it could be executed on a larger scale. What kind of outlay (quantity of dresses) for you need to do for each season, and do you 'top up' before the season is over? We have wholesale agreements with all of the designers we stock which allows us to receive all of our dresses at the start of the season. At the moment we are introducing around 100 dresses at the start of each season, and this will continue to increase as we add more designers to our line up. What has been the reaction from the public and friends and media since being on (TV show) 'Shark Tank'? The reaction has been so positive and overwhelming; we have received some exciting media coverage and friends have been really excited and supportive. How has the two mentors’ investments made an impact on your business? They have been extremely helpful with business advice on how to grow the business quickly and how we can differentiate Your Closet. We are really excited that we will be introducing millinery (fascinators) and clutches this week to our offering with beautiful pieces from Natalie Bikicki and Danica Erard. Here is the site, for all your FAQs and to browse and hire RIGHT NOW. And you can follow Your Closet here on Facebook. 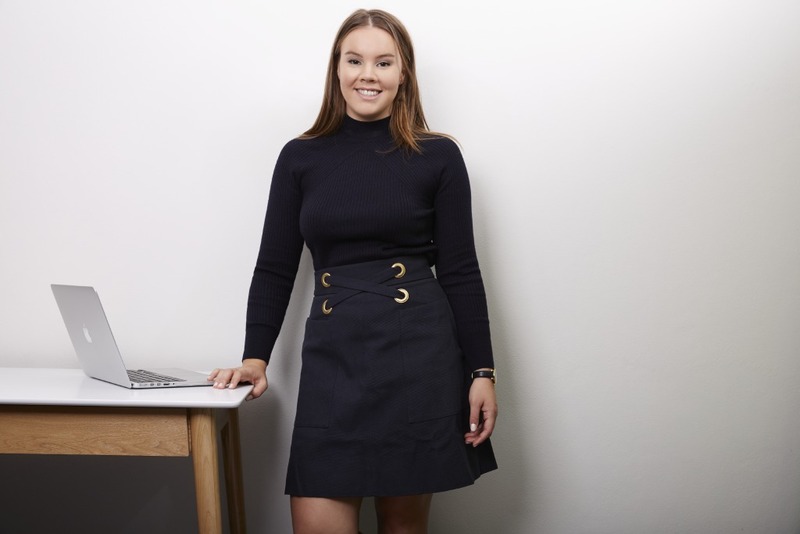 Briella was inspired to launch her business when she was in her last year of school, in Year 12; she was invited to several school graduation 'formals' in a short space of time, knew she'd need lots of gowns, saw the gap in the market, and Your Closet was born. To watch the whole ep (it'll expire in a few weeks), go HERE. Back to my gown for the ball! I requested two gowns; one for me, and one for my guest for the ball. It made the 2.30pm daily cut off time, and voila, there was my parcel on my doorstep, at 7.30am, delivered by Australia Post, with the tracking of it sent to my email address. Brilliant. Then dresses came beautifully boxed, with a note, and an Australia Post return satchel. Done with the dress? Pop it in the Express Post bag, then pop it in the Oz Post box, and it'll get there the next day. The cost of rental covers the use of the dress, and cleaning for the next wearer. The gown is as new when you get it. Smells fresh and clean and lovely, and in perfect condition. A point on this whole experience, and on my dress in particular... I am not an online shopper, and like the tactile experience, and consider my body type perhaps a little tricky to fit. But guess what... we ALL do! Give the Your Closet experience a go, and you might be surprised at how you find your dream gown... on your very doorstep. They deliver Australia-wide and are the dress hire company to watch! Give them a go!